Massive flames licked up the sides of the block as 200 firefighters battled the blaze for hours along with 40 fire engines. 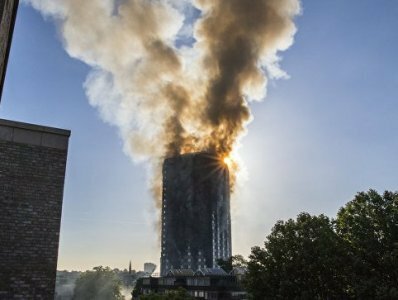 At least six people were killed after a huge fire engulfed a 27-story Grenfell Tower in north Kensington on Wednesday, London police reported, adding that death toll could rise. More than 50 people were hospitalized as a result of the fire.